With the Red Sox offseason now in full force, we are going to hear a lot of information moving forward. The Sox found their new manager in Alex Cora. They still need to improve the offense. When Spring training begins, the young kids will get their time to shine. 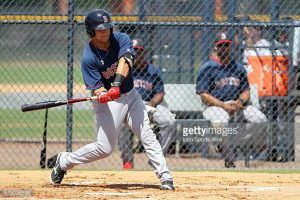 The future of the Sox is bright in the farm system. Five names fans should look for: Jay Groome, Michael Chavis, Bryan Mata, Sam Travis and Tanner Houck. These are the Red Sox prospects to watch. Groome is the number one prospect in the Red Sox system. He was drafted 12th overall pick of the 2016 draft. He was the top prospect in the draft, but fell to the Red Sox due to sign ability concerns and his personality. Groome has the tools to be a top of the rotation starter, something the Sox have struggled to develop. The last Red Sox pitching prospect to make more than 20 starts in the majors, was Justin Masterson, who the Sox drafted in 2006. 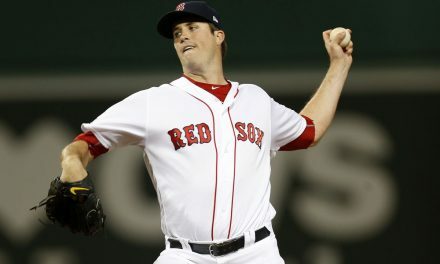 Masterson only lasted two seasons in Boston, then was traded to the Indians in 2009 for Victor Martinez. Groome’s curveball has drawn compassions to Clayton Kershaw’s, who has been one of the best pitchers in baseball in the last decade. The Sox would be more than happy if that comparison holds true. Chavis burst onto the scene last year when he hit 31 homeruns between Salem and Portland. The Sox drafted Chavis in the first round of the 2014 draft. He had struggled in the minors, and had never hit above .270 in his minor league career. Chavis is blocked by Rafael Devers at third base in the majors. 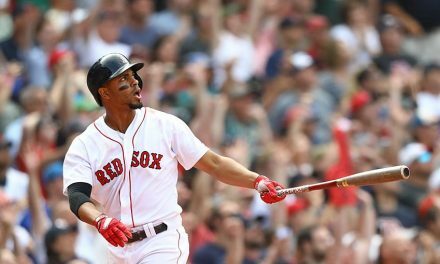 If Chavis can continue to show the power like he did last season, it may be hard for the Sox to keep him in the minors. Mata is the Sox second highest ranking pitching prospect. He is only 18 years old. 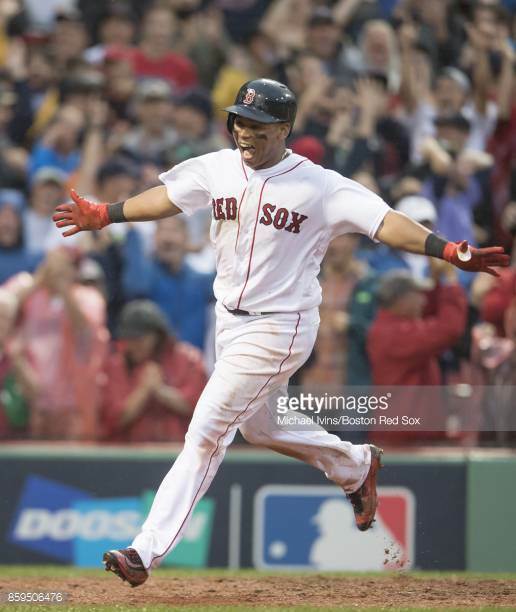 The Red Sox signed him as an amateur free agent out of Venezuela in 2016. Last season Mata went 5-6, but showed impressive control. In 77 innings he struck out 74 batters while only walking 26 batters. While Mata doesn’t throw extremely fast, he has good control, and has quickly risen in the Red Sox minor league system at a young age. Of all the players on this list, Travis is the only one with major league experience. The Sox were hoping Travis would take over first base last year, but things didn’t go as planned. In the minors, Travis hit for a high average and was able to get on base. He played in thirty-three games at the big league level but showed little power. While he did hit .263 in the majors last year, he dealt with injuries limiting his opportunities. 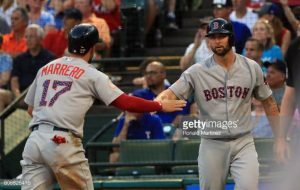 The Sox still have high expectations for Travis, but will need him to show more power to earn a starting job in the majors. Houck is the third pitching prospect on this list. Like Groome, Houck has also been compared to another successful big-league starter. The Sox drafted Houck in the first round of this year’s draft. His pitches average 92-96 mph however he has topped out at 98 mph. Baseball America called him, “the second coming of Jake Peavy again with his velocity and location on his sinking fastball starting to rebound”. Houck has the potential to be a very good starter for the Red Sox, but must first improve his control. If he can, he could land in Boston very soon. After last season, there will be many changes with the Red Sox. They need to add more power to the lineup and improve the bullpen. The Sox will look for help through free agency and trades. 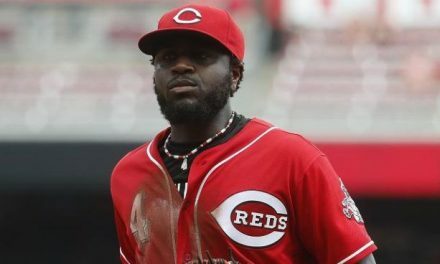 They will also look to the farm system. The Red Sox have given up many impact prospects to acquire stars such as Chris Sale and Craig Kimbrel, which has depleted the farm system. They still have talent in the minors, and these prospects are the ones to watch for a quick impact. PreviousTatum vs. Fultz – Who is the better player right now? 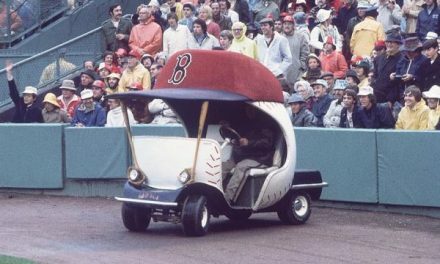 Is the Bullpen Cart Making a Comeback?